Bradford has been awarded a £2 million grant to help breathe new life into some of the city centre’s most historic quarters. The National Lottery has confirmed that it will be providing funds to help encourage the owners of heritage properties in the northern part of the city centre to fully refurbish their buildings, and bring empty space back into use. The grant will also help fund a major refurbishment of the public square around the statue of Richard Oastler. Bradford City Council secured the Heritage Lottery Fund grant to support a Townscape Heritage Scheme, which will allow owners of buildings on North Parade, Rawson Place, Darley Street, Northgate, Piccadilly, Upper Piccadilly, Duke Street and James Street to apply for financial support to refurbish the properties. They will also benefit from support from heritage experts, including the Bradford Civic Society. The funding would allow owners to restore original shopfronts, repair period features and bring empty upper floors back into use. Saira Ali, Landscape Design & Conservation Team Leader for Bradford City Council, said: “In developing the scheme, we have met with many property owners, to discuss their ambitions and explore how they will be able to use the grants to repair the exterior of their period property, restore lost or damaged architectural features, or to develop vacant space for sustainable new uses. Bradford Civic Society will host a special meeting to discuss the project in early 2019, which all members will be encouraged to attend. 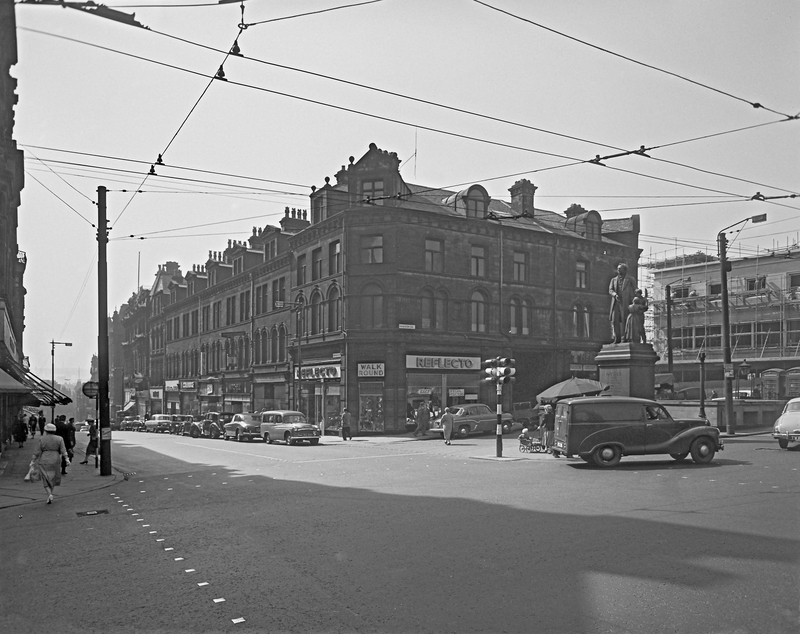 Picture is of Rawson Square, circa 1957, and has been provided courtesy of Bradford Museums and Galleries service.